If in search for a luxurious townhome, look no further than the Lullwater Park complex located in Druid Hills. Lullwater Park was built in 2008 and currently has 51 units on the property. The townhomes are apart of a gated community and the homes range from 3 beds with 3.5 baths to 4 bedrooms with 4.5 baths. They are multi-level homes, have attached garages, and some have an elevator as an option. Besides the townhome itself, you would be in a perfect location and right in the middle of all the action. One of the main attractions that has the whole city buzzing and is the hippest place to be right now is Ponce City Market, which happens to only be 1.6 miles away. You can shop, eat, and have fun, all while being able to reach the beltline from there. The beltline is an incredible trail that you can bike, run, or just walk and connects to as already talked upon, Ponce City Market and Piedmont Park. Not to mention you are a short walk or drive away from Little Five Points, Atlanta Botanical Gardens, and many more attractions that you just need to discover on your own! If you are looking for something to switch it up, you can go to the beautiful Candler Park Golf Course and the Dekalb Farmers Market just to name a few. It also does not hurt to have the prestigious Emory University, the CDC, and the VA Hospital surrounding you. All of the previously mentioned is causing this area to be one of the fastest growing in Atlanta and will only add more amazing places as it continues to grow. For schooling, Springdale Park Elementary, opening in 2009, is the elementary school and is a 5-minute walk from your townhome. Built in 1924, Inman Middle School named after one of Atlanta’s civic leaders, Samuel Inman, is the middle school for this district and is a short 1.2 miles away. Which leads to Grady High School one of the most historic schools in the country and only 2 miles away. Grady opened in 1872 and is held in high regards as one of the top schools in the state of Georgia. According to USNewsEducation.com, Grady High School has an impressive 13:1 student to teacher ratio and offers advanced placement courses, along with a 90 percent graduation rate. As you can see, the Lullwater Park townhomes have a lot to offer, and we hope it is a fit for you! 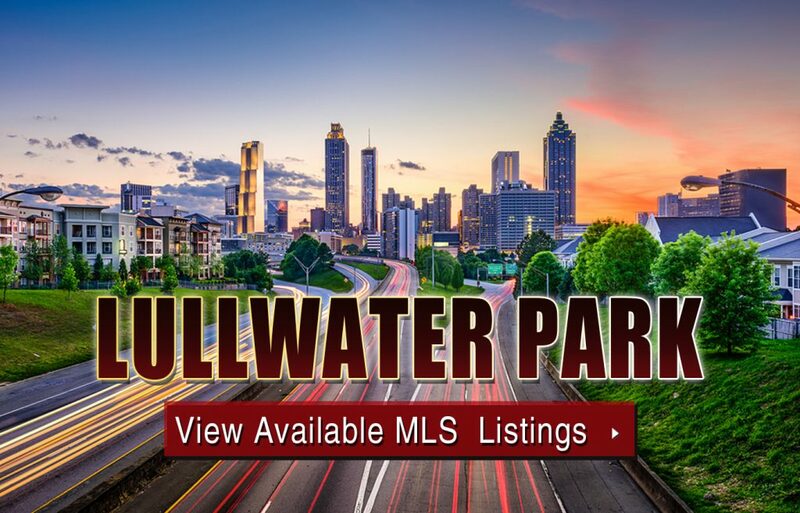 For additional information about Lullwater Park townhomes for sale in Atlanta, contact us today or click the link below to start viewing active MLS listings. Listed below are recently closed sales at Lullwater Park. Whether you’re thinking about buying or selling a townhouse at Lullwater Park, checking to see what other comparable properties have sold for in recent weeks and months provides helpful insight into current market conditions within the community. For more information about Lullwater Park townhomes for sale or for a complete list of recent homes sold in the neighborhood, contact The Zac Team today! Can’t find what you’re looking for in Atlanta’s Lullwater Park? Start browsing other Atlanta real estate for sale or give the Zac Team a call at (404) 564-7200 for help with your new home or condo search today!